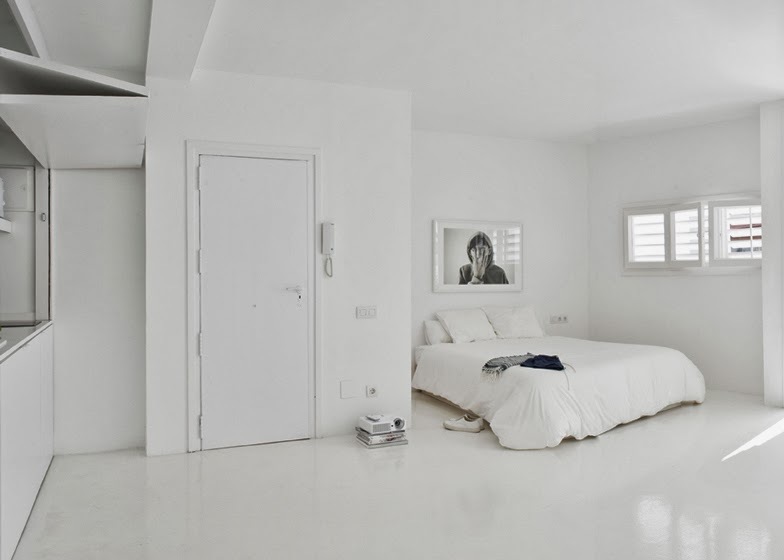 I'm sure you have seen this beautiful studio apartment by Spanish studio Colombo and Serboli Architecture at other blogs....but I like this space so much, that I need to share it here on my own blog. 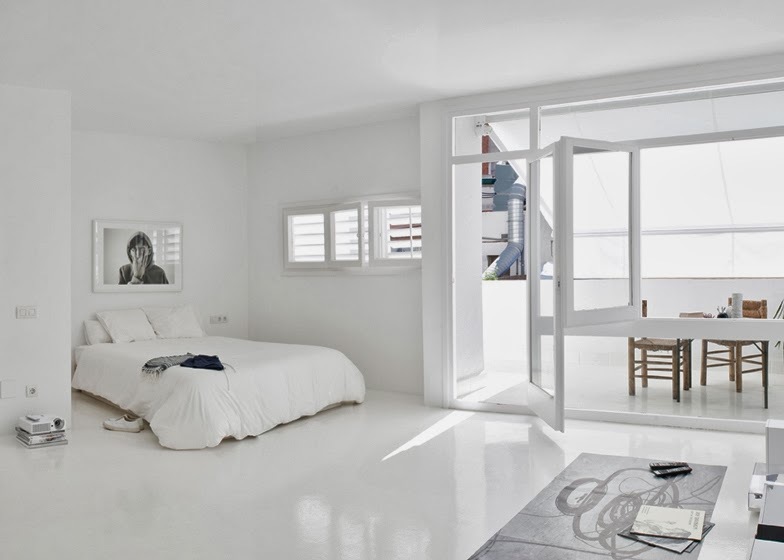 I just love all white, open windows and shutters. It's open and airy and seems to me a perfect space to relax. 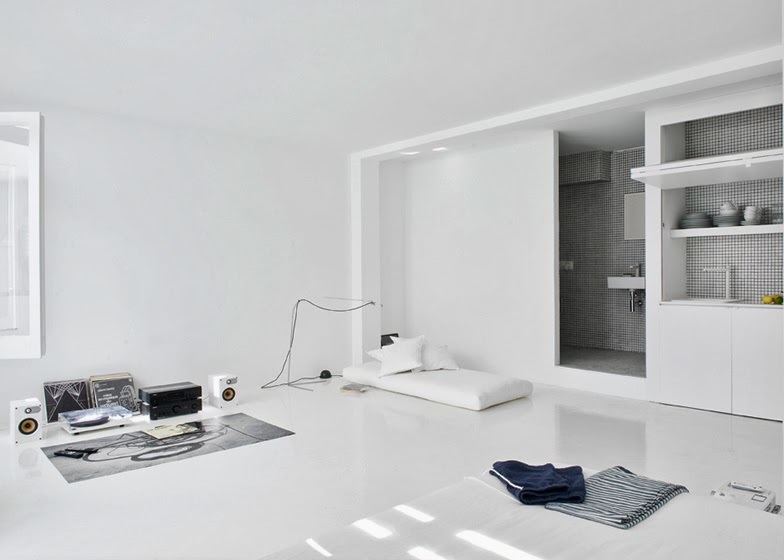 And because of it's hidden kitchen and bathroom, it is a smart place too. I say; let's go to Barcelona!